DRONES HAVE BECOME AN ESSENTIAL PART OF BUSINESS IN DOZENS OF INDUSTRIES INCLUDING REAL ESTATE, PROFESSIONAL PHOTOGRAPHY, AND VIDEO PRODUCTION. DRONES ARE BEING USED FOR ADVERTISING, SOCIAL MEDIA, AND LIVE STREAMING. HOW ARE DRONES CHANGING YOUR BUSINESS? 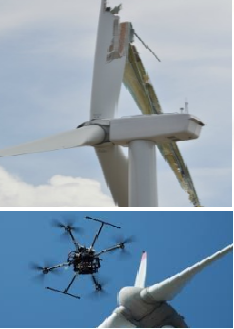 AERIAL INSPECTIONS DELIVERED BY FUTURE AERIAL USING UNMANNED AERIAL VEHICLES SYSTEMS (UAV) ALLOW AN UNPARALLELED NEW LEVEL OF UNDERSTANDING IN ENGINEERING AND INDUSTRIAL ASSET MANAGEMENT. Our Pilot deliver close-quarter structural civil engineering inspections that save time and money whilst increasing safety and enhancing knowledge of difficult or dangerous access areas of structures. We inspect all manner of large complex industrial structures, including exhaust towers, live flare stacks in oil and gas refineries, operating transmission towers for mobile operators, electricity pylons, and wind turbines. We also provide topographic survey data to assist our civil engineering clients gather important information. 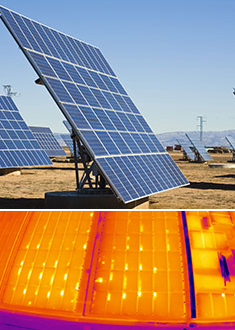 Our pilots work with experienced engineers to produce detailed inspection reports containing GPS geo-localisation analysis and capture of high-resolution photography and video for close visual inspections. 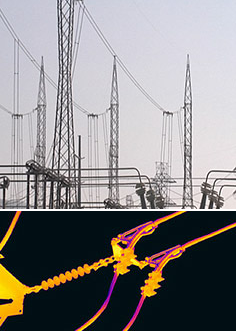 We also use infrared and thermal imaging cameras which help to create a deep understanding of live structures, and prove invaluable for initial triage inspections, decreasing risk in the workplace and highlighting problem areas before physical inspections commence. All our operators are Belgium Class 1 pilot licensed. A detailed safety-check system dramatically reduces human risk factors involved throughout our operations.